This post is primarily directed at Jewish content providers and anyone thinking about becoming one. Disclaimer: I am not a lawyer and this is not legal advice. If you’re in the Jewish content world, it’s quite possible that some day, you will develop content that is relevant not only to you and your users directly, but to the wider Jewish community. Because the siddur is so wide ranging in scope, it may even be relevant to the Open Siddur Project in particular. Conversely, I hope that some of the essays contributed to the Open Siddur Project would be relevant to your site(s). By “content compatibility,” I mean the ability to post content generated for one site onto the other and then further develop it. It is possible for content to be one-way compatible or bidirectionally compatible. Issues of content compatibility arise out of copyright law. All literary or creative works fixed in a tangible form (including electronic texts on the web) are covered under copyright law. Copyright law reserves certain rights to authors or owners of works. These rights include the rights to copy a document, to share it with others, to make changes to it, and to distribute the changed document. For a work written by an individual in the US today, these rights are exclusive to the copyright owner until 70 years after the author’s death. Permission must be obtained from the copyright owner in order to do any of the activities covered under copyright law with his or her work. There are certain exceptions to copyright, including “fair use,” which allows reprinting short excerpts of works under copyright for purposes such as academic discussion. Fair use will likely cover most of your everyday uses of copyrighted works. There are many useful online and offline resources that go into more detail. Content compatibility becomes a major issue when a text is developed collaboratively. If all contributing authors do not agree to a framework for sharing their contributions, the site relies on an “implied license” from the contributors to the site owner. The implied license covers normal operation of the site, and little else. It most likely does not include copying from one site and placing the content in another. These broad claims of ownership(!) rights over submitted content work entirely to the benefit of the contract author, and against the benefit of the remainder of the community. One also may question whether a site which serves source sheets and audio recordings of prayer texts is compromising its own potential by limiting reproduction of its materials to personal use. A copyright-conscious contributor (such as myself) would refuse to submit to such a site, fearing that his or her own future use of his or her own material would be threatened by the (legally questionable) claim of transfer of ownership. 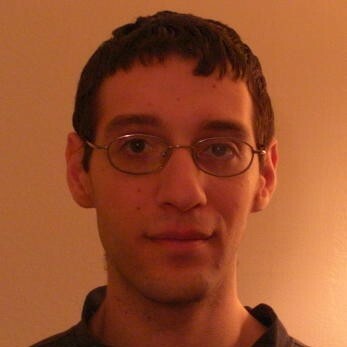 Material from another free culture project (such as The Open Siddur Project, Wikipedia, or Wikisource) is relevant in its entirety to the project. The material cannot be copied wholesale and further developed without playing by the rules of free culture (see below). Fifty years from now, everyone who wrote for the project has moved on to other stages in life and other projects. The site or project as an institution may not exist anymore, and nobody knows who are the heirs of its “intellectual property.” Some of the material is still circulating, still relevant, and still under copyright. Even if the original intent of the authors were never to sue anyone for use of the material, the future researcher does not know that because either no policy was written down or the written policy indicates that his or her usage rights are limited. The material may become unpublishable and lost forever. This problem is known as the orphan works problem . Note that these freedoms do not discriminate on the basis of endeavor, and all free culture works allow creation of derivative works and commercial use. The free culture community is a group of individuals who believe that culturally-relevant works of their creation should have minimal legal impediments to their dissemination and further development. The mechanism involves use of copyright licenses, which work by having each contributor agree to release his or her work under a given set of terms at the time of submission. All collaborating authors may then use, share and build on the work using the rights given by the original author. Users may share, modify, publish, and distribute the work on their own without asking for permission, as long as they comply with the liberal terms of the license. None of the free culture licenses transfer ownership of the work. An author may later decide to release his or her own work in another forum under a different set of terms (including “all rights reserved” copyright). Creative Commons Zero – “no rights reserved” – essentially, an internationally-applicable public domain declaration, indicating that the author surrenders all rights to the work. Creative Commons Attribution – The work may be copied, modified, and distributed, as long as attribution is maintained and reference is made to the license. Creative Commons Attribution-ShareAlike – The work may be copied, modified, and distributed, as long as attribution is maintained and reference is made to the license, and all derivatives of the work are also released under the same terms. NonCommercial – No commercial use. Use of this term will also place severe limits on the work’s use in the future, both by you and your users. NoDerivs – The work may not be changed from its original version. Use of this term will completely curtail communal development to the same degree as “all rights reserved” copyright. Wikipedia and Wikimedia Commons, the largest free culture projects, have chosen the Creative Commons Attribution-ShareAlike 3.0 license for their material. The Open Siddur Project has a somewhat more complex licensing structure, in which works that originally derive from the public domain are released with no rights reserved (Creative Commons Zero); other original works (such as translations and commentaries) may also be released under either Creative Commons Attribution 3.0 or Attribution-ShareAlike 3.0, at the discretion of the author. A combined work retains the licensing properties of the most restrictive of the set of the licensing terms of its included components. In many cases, the Open Siddur Project’s use of Creative Commons licenses makes one-way compatibility from the Open Siddur Project to most other projects a given. In most cases, attribution must be maintained; if the essay of interest has a ShareAlike licensing term, the derivative essay would also have to be released under the same terms. In the other direction, the Open Siddur Project cannot currently copy and distribute works derived from sites with no explicit policy (or an explicit proprietary policy) because of their “all rights reserved” copyrights. Because securing rights requires the consent of all contributing authors, it is best to approach these issues at the start of a project before accepting contributions from large numbers of authors. Joining the free culture community involves surrendering some control over submitted works. In exchange, the entire community benefits from more widespread dissemination of knowledge. In addition to simple propagation of ideas, free culture also allows works to develop in novel ways that the authors could not have imagined. I hope that you will consider joining the Free Culture community in building enduring, truly collaborative resources for the Jewish community. We hope to begin a conversation about content compatibility with the world of online Jewish content providers. If you’re interested in joining it, talk to us. “Jewish Content, Free Culture and “Content Compatibility” by Efraim Feinstein” is shared by Efraim Feinstein with a Creative Commons Attribution-ShareAlike 4.0 International copyleft license. 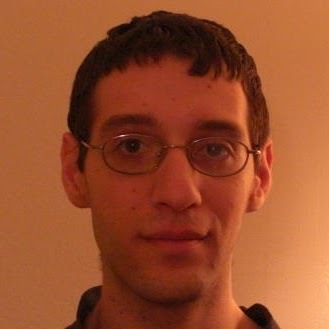 Efraim Feinstein is the lead developer of the Open Siddur web application. Please reciprocate for any adaptation or redistribution of this work by (1) properly attributing the work to Efraim Feinstein, (2) clearly indicating the date you accessed the resource and whether any changes have been made (and if so, please be in touch with us and leave a comment below so that we might note your adaptation or improvement), (3) providing a link back to this source, and (4) specifying the Creative Commons Attribution-ShareAlike (CC BY-SA) 4.0 International copyleft license under which this work was shared.